Place the tomato, red wine vinegar, oil, salt and pepper in a large bowl and, using a fork, gently crush the tomato. Set aside to marinate for 10 minutes. While the tomato is marinating, cook the pasta in a large saucepan of salted boiling water for 8–10 minutes or until al dente. 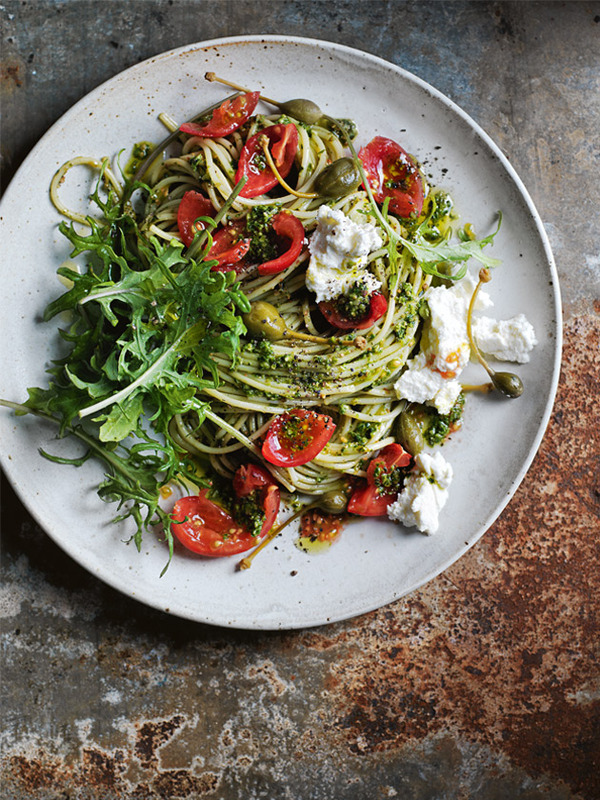 Drain the pasta and place in a large bowl, add the pesto and toss to coat. Top with the tomato mixture, kale, caperberries, ricotta, salt and pepper to serve. Serves 4.